We are excited to announce that on Sunday, February 26 the congregation of Advent Lutheran Church voted overwhelmingly to extend a call as Senior to Pastor Danielle Miller. Later that week, we received her letter of acceptance. Below is the brief biographical information that was shared at church last weekend. Pastor Miller will remain with her current congregation through Easter. Watch future e-letters for information about her first Sunday at Advent. Originally from Lancaster County, PA, Pastor Danielle has lived throughout the US and abroad before landing in Long Island with her husband Joel, a family physician in the Bronx, and their two children, Jude, 4, and Levi, 6 months. She attended Loyola University of Maryland in Baltimore for undergraduate studies and graduated with a Masters in Divinity from The Lutheran Theological Seminary of Philadelphia. 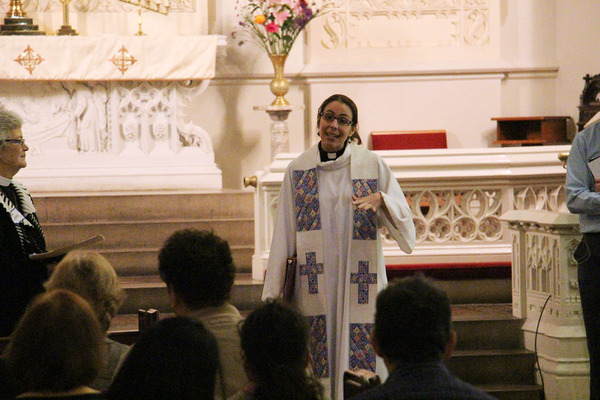 Currently, Pastor Danielle serves as Director/Dean of Pinecrest Lutheran Leadership Ministries. Pastor Danielle enjoys good books, good company, and good food. She finds joy in impromptu dance parties with her children, storytelling and bad puns. Thank you to all of you who joined us in taking this exciting step into our future together, at the meet and greet on Saturday, and in worshiping and voting on Sunday. Thank you also to those who were with us in spirit and prayer from afar. And thank you to our Call Committee for their year of hard work that has brought us such a bright and promising new Senior Pastor. Lent is the 40 day church season from Ash Wednesday to Easter. It is a time of reflection upon our Baptismal identity and the gift of forgiveness Jesus has won for us through Christ’s death and resurrection. 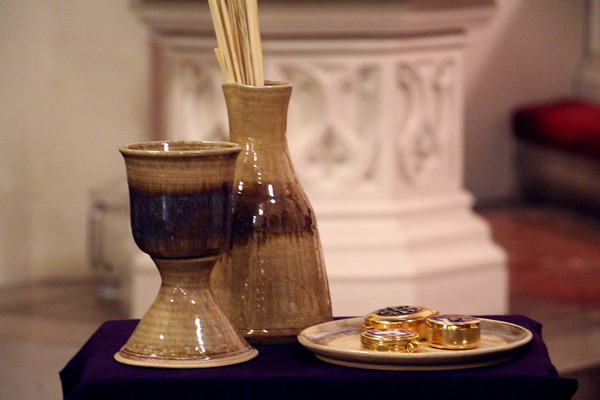 To emphasize the penitential character of Lent, changes are made in our worship service and worship space. So, what is missing during Lent? “Alleluia,” uncovered crosses, and the weekly lighting of the pascal candle (The exception is what's called a "rough hewn cross," which is made of wood instead of gold or silver, and is currently sitting to left of our altar.) And what is not missing? Christ’s love for us experienced through the sacraments of Baptism and Communion. This season is for our community to gather and reflect on the love of Christ, given to us in Baptism. 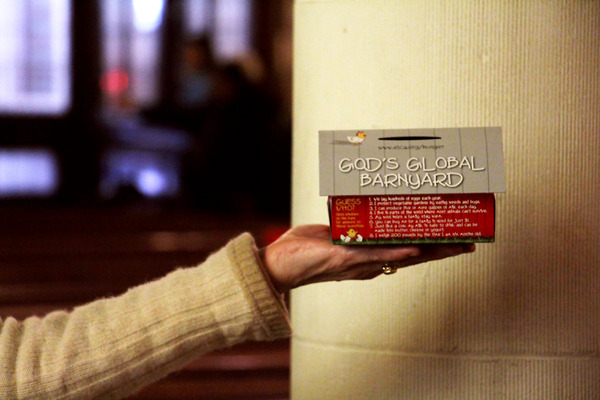 Our Sunday School families are inviting you to support our Mission of the Month for March, ELCA World Hunger, by taking part in the God’s Global Barnyard program this Lent. In worship yesterday we handed out barn-themed Lenten banks to take home. If you missed it yesterday, you are welcome to come by the office this week or get one on a future Sunday. 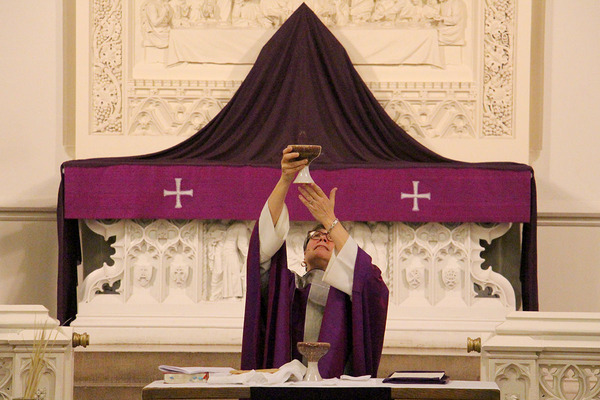 We invite you to add what you can to it throughout the coming weeks of Lent, and return it here on the last Sundays of Lent, April 2 and 9. 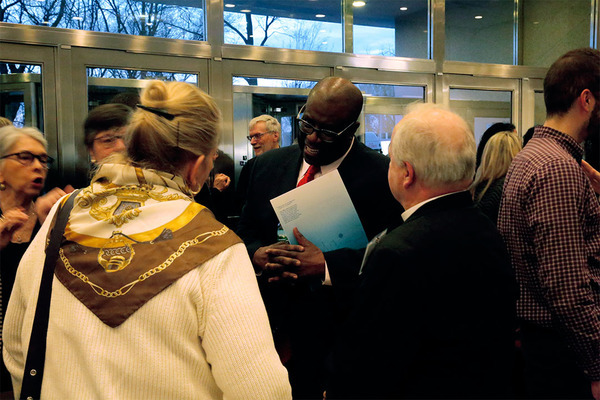 ELCA Presiding Bishop Eaton responded to attacks on the Jewish community. Read the full statement here. Also, Lutheran Social Services in New York recently welcomed a new President and CEO, Damyn Kelly. Pictured above, Pastor Ann, Pastor Mills, and Lauren Johnson met Damyn at a welcoming reception last week. 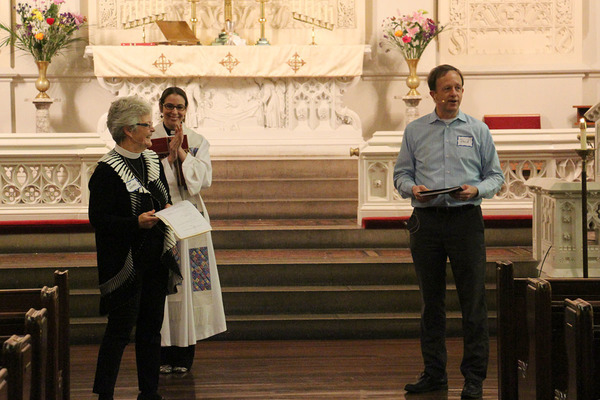 Advent receives grant funding from United Way for our Food Pantry and Community through a partnership with Lutheran Social Services, making our partnership with LSS vital to continuing these ministries that support food insecure individuals and families in our community. Or even aspiring chili gurus! We're looking for more contestants of our Chili Cook-Off scheduled for Sunday, March 19 after 11am worship. Whether you have a favorite chili recipe, want to try a new one, or have never made chili before, we invite you to participate! All you need to do is bring a big pot of your chili, a creative title for your chili, and ladle on Sunday, March 19. Sign up here, and our Chili Cook-Organizers will be in touch with any further details. Don't forget to set your clocks one hour forward this Saturday night, or else you might find yourself arriving to Sunday worship during the closing hymn! 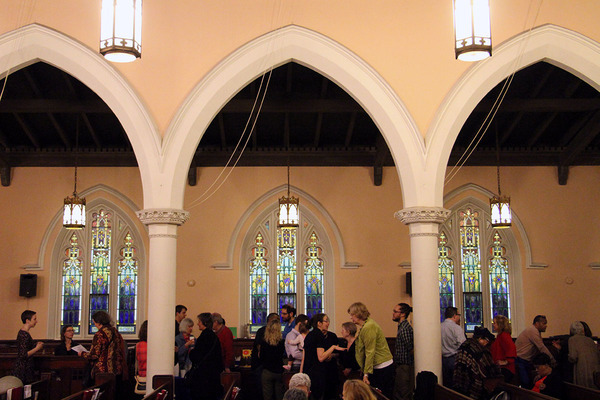 Adult Conversation | Meets at 10:10am in the sanctuary. This Sunday's topic is, "Yes, you CAN read music! (Part 2)" led by Frank Martignetti.